I’ve been using this product everyday since December and I love it. 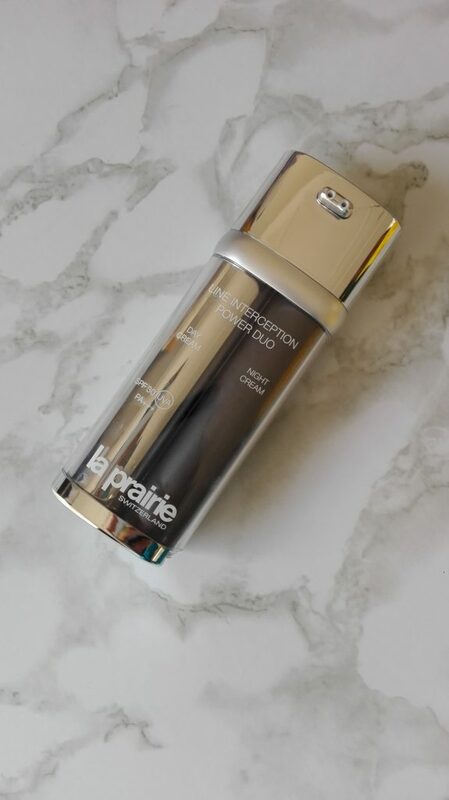 La Prairie has recently launched their Line Interception Power Duo that has a 2 in one dispenser for day and night use. Though I don’t have much wrinkles on face, I used this product steadily for 4 months and could feel a difference on my face. I used it every night before bed, every morning and it left my skin completely moisturized. There was a clear difference around my eye area, leaving my skin feeling elastic. I truly believe that the earlier you work on your lines and wrinkles, your skin memory will allow less wrinkles to appear later on in life. 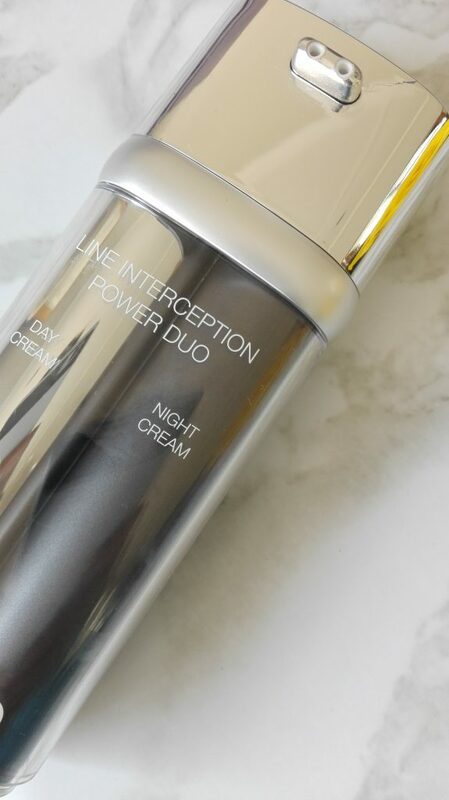 The Line Interception Power Duo targets wrinkles and helps smooth them out where they have appeared. 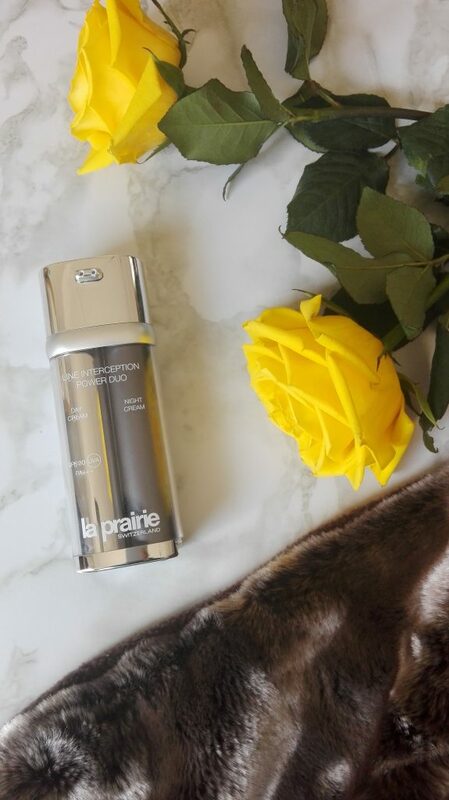 It offers two distinct formulas, one cream for day and one for night, in one breakthrough solution. The Duo bottle allows for the perfect amount of product to be dispensed onto your fingertips. Its long lasting moisturizing formula allows for a little product to go a long way. 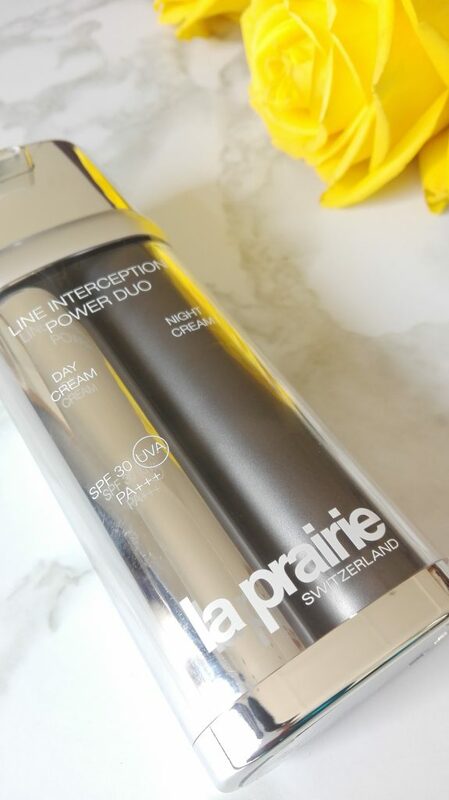 If you can afford to splurge on a great beauty product thats going to directly target early signs of lines and wrinkles, the the La Prairie Line Interception Power Duo is the way to go! Visit their website HERE for other great products. Have you tried this product? Let me know? What is your favorite anti-wrinkle cream? Follow me, send me a message and lets keep in touch! ?